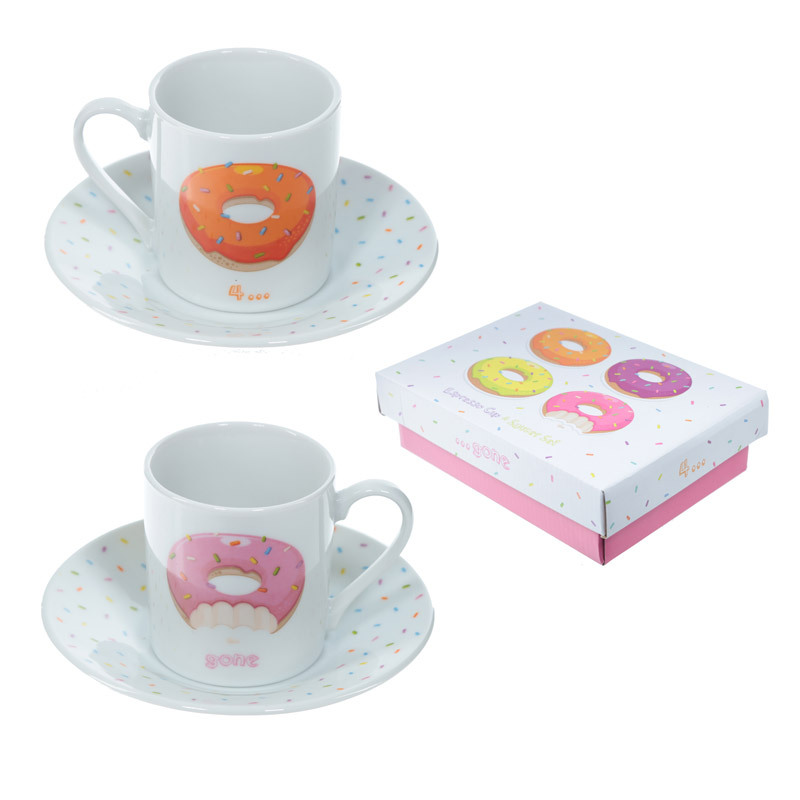 Yummy-looking set of espresso mugs with sweet donuts theme. The set includes 2 mugs and 2 saucers. In hard cardboad gift box. Wonderful gift idea.